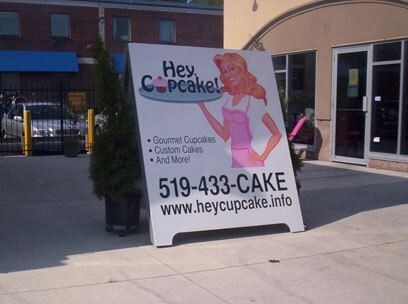 Hey, Cupcake is a unique cupcake, cookie and cake design company in London, Ontario. We cater to clientele who have a whimsical and clever sense of taste and style. 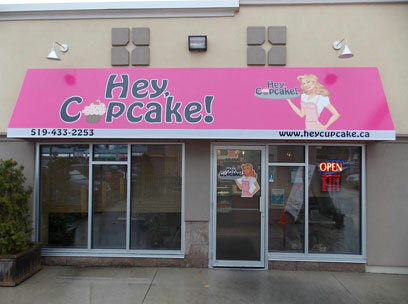 Each cookie, cupcake and custom cake is an original work of art designed just for you! We use only the freshest and finest ingredients baked from scratch... and created with a whole lotta lovin. 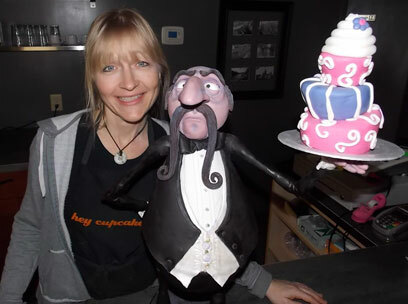 Any special occasion custom cake should be ordered 2 – 3 weeks before your event. Please call and check for availability, or fill out the order form. We are a small “boutique” type bakery and are limited in the number of events we can handle each week. We recommend scheduling a consultation as far in advance as possible to ensure we can create your custom cake in time for the date of your event. Bookings are made on a first come, first pay basis. Plan to come in about 4-6 months (minimum of 2 months) before your wedding, It is also advisable to call to book your first consultations 3-4 weeks in advance to coming in. You should know approximate number of guests, event date, event location, and any other ideas or details you would like included in your cake design such as colour swatches, invitations, details from your wedding dress, etc. Unfortunately, we have just an 800 square foot bakery and this includes our “dining area”. We do not have the capacity to cater to everyone’s food restrictions or allergies. We are not a peanut free environment (we have peanut butter on the premises), but we can create peanut free orders. We have catered to several clients in the past who have peanut allergies and we were able to satisfy their sweet tooth without jeopardizing their health. We also have several gluten free options available, please call to inquire. Do you Deliver and is it required?